I know a little girl, the prettiest little thing you will ever have the opportunity to meet. (Only second to my daughter.) Again, being her godfather, I might be slightly biased. Many people display resilience in the most unexpected way. They motivate other people without even knowing it. They carry on with life oblivious to the cards that was dealt, they play whatever it is, like a Royal flash. This little girl was born with a birthmark on her face. She is going on three and it has been months of tears and sadness and hospitals for all involved. 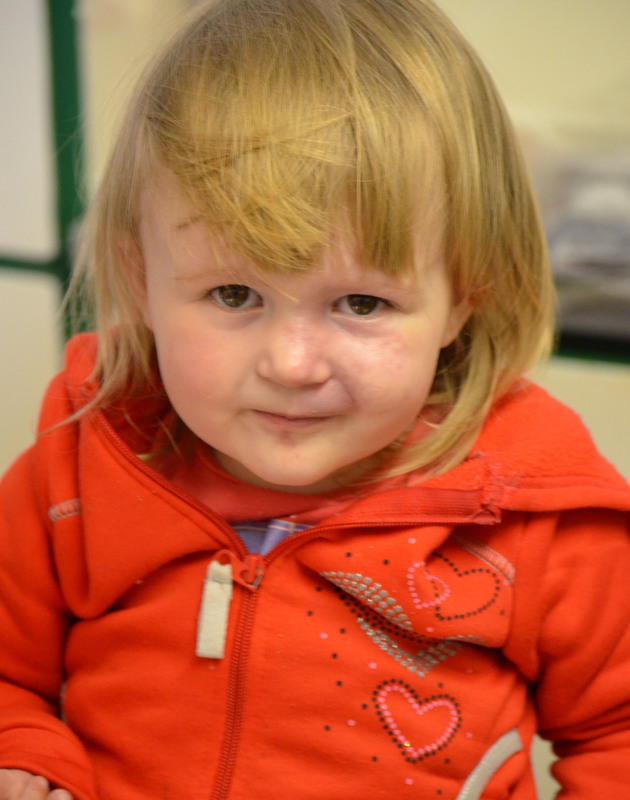 This is the result of a few treatments she received to reduce the intensity of the birthmark. The family visited over Easter and after a few hours the conversation turned to the treatments. It was in that moment that I realised, I didn’t notice her birthmark. What surprised me even more was that the mark was still visible. How come I didn’t see it in the first place? It’s an easy answer, because she doesn’t. This little person ignites everything she touches with her bubbly personality. Her joy ensures that a smile is the only natural reaction you have. Like all two-year olds her excitement and courage is only limited to what her parents allows her to do. She is a happy, bright, sunny little girl. She doesn’t walk, she runs; she doesn’t hug, she embraces and she doesn’t giggle, she cracks up. One specific moment I cherish was when our doorbell rang and she came running after me. After assisting her down a few steps, she yelled “Fanks” and was skipping ahead. She passed a chair in our study that requires some renovation. She stopped, pointed at the chair and said: “Broken”, before she continued skipping further down the hallway. I was filled with amazement and wonder. She understood that the chair required repairs and attention, yet this wonderful bundle of inspiration is oblivious to her own situation. Other people might feel pity, but this little one doesn’t see the mark, therefore it doesn’t exist to her. And when you are in her company, her spirit boils over and the lightly coloured mark disappears completely. If we were oblivious to our mistakes or our inabilities; how much more confident would we be? Would we feel more alive? How much more freedom would we have to really exist and achieve our full potential? Society reminds us constantly of our constraints, our inabilities, our defects. Celebrities, adverts, magazines and a million products are constantly bombarding us with their perceptions of beauty, success and happiness. We feel inferior if we don’t conform. We are placed in boxes and expected to live in some kind of paradigm, to accept that we are not as great as the next person. Well screw that! I pray that our kids maintain their innocence and excitement of life. I wish they stay ignorant of how other people might perceive them. I hope that their confidence are cemented and strengthened so that they attack life with vigour and passion. Children shouldn’t have to see their inabilities, because then it wouldn’t exist to them. We have to allow them to dream big, let them focus on the things they can do, and not be constantly reminded of the things they can’t do.